Sorry, no longer available. One of my favorite posts I’ve written is “Things I’ll Never Pay for Again“. I also wanted to highlight these favorite samples you can request right now. Welcome to my new readers who saw me on Inside Edition today! I’m glad you are here and please feel free to ask me any questions you have. Sunsilk Hair Care – get a great sample of shampoo, conditioner, styling aid along with some coupons. Here’s the BONUS – you can request ALL 5 SAMPLES and they will mail all of them to you. All you have to do is ask! Aveeno Positively Ageless – this sample comes with a great coupon to Save $1.50 on any Aveeno product. A single mother of 5 just wants to take the time out to thank you. You are a life saver!! !….And a MONEY saver too. Hi Heather! I also saw you on Inside Edition and you should be so proud. Helping out so many people is absolutely wonderful especially in these days and times. I have also taken advantage of the free samples and will pass this on to friends. Keep up the good work! i love this website. it is great that someone came up with a way to sample different products before they go out and buy it. You’re the Greatest. Saw you on Inside Edition.With the economy today we all can use the extra savings. Thanks for doing the work for everyone.God Bless You. I am at a loss for words,a mother who is out there to help mothers. You are an amazing lady. God Bless. I saw the TV spot and it encourage me to sign up and start looking for those deals.Thanks, for making it easier for us to find the great deals. I just signed up today after seeing you on Inside Edition. Thank you for looking out for us moms who have to tighten our belts. Your website is amazing!!! saw you on inside edition last night. must say, i’ve gone to lots of “freebie” sites in the two years i have been a sahm, and you have the most informative, user-friendly site, i’ve seen. thank you so much!!! I saw you on Inside Edition and I have 5 children that live in my home and I need all the information possible. My husband is being deployed to Iraq and every little bit helps. Thanks! Thought I’d try your web site after Inside Edition. Its very organized and easy to use by linking the freelies to all of us. Thanks so much I’ll be back to check more free sites!! I do updated my blog every single day – typically at least twice a day during week days and once on weekends. But if a bunch of new time-sensitive offers pop-up I will be telling you about them first! I’m happy to see some new readers today and I hope you will find some great freebies by reading Freebie 4 Mom! I am a new mom and have never used the Mr clean erasers but hear they work wonders for messes on walls, etc. I would love a sample to try out! 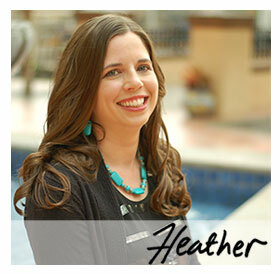 I’m so proud of you, Heather!! You did such a great job on Inside Edition…you must be over the moon about the entire experience. Had you ever imagined a blog would eventually lead to a TV spot? !